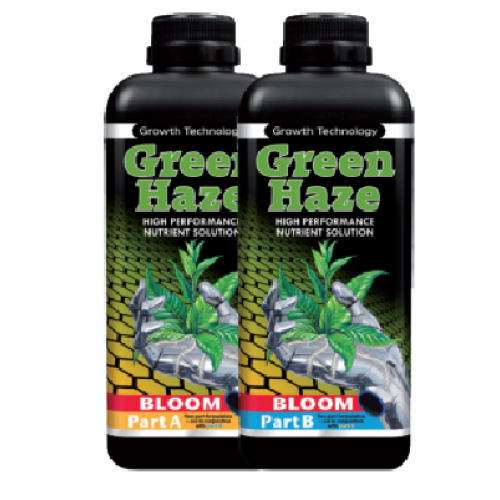 Green Haze Bloom was developed initially for NFT Systems (Nutrient Film Technique), which essentially is the technique used in hydroponic growing gardens, whereby nutrient-dissolved water is dispersed again passed the bare roots of the plants. This tight channel is called a watertight gully. Working on a similar principal Green Haze Bloom gives plants that extra boost that the Ionic mix can, but in a twin-pack alternative. With its upgraded level of potassium, which stimulates the enzymes and ATP, the Green Haze Bloom mix produces very fragrant blooms and phenomenal harvest yields. In addition, you will find a good dose of magnesium and iron, good for the photosynthesis process, i.e. getting those leaves looking green and lush. Without iron a plant cannot produce chlorophyll, won’t get enough oxygen and also won’t produce that beautiful green you want. While this is a 2-part nutrient mix, it couldn’t be easier to mix and apply. The healthy results are worth the little effort. Stemming from the Dutch, the Green Haze Bloom consistency stays true to their particular nature and heritage, a truly concentrated solution that will do well in many types of cultivations. 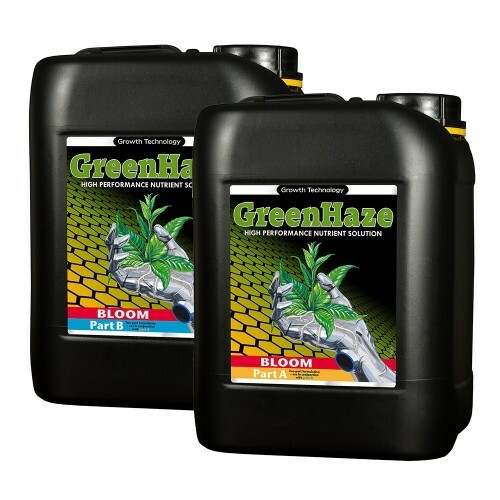 When it comes to hard water areas, the Green Haze Bloom 2-part nutrient mix will see your plants thriving in no time.